This entry was posted on July 12, 2012 by follow the twisted root. 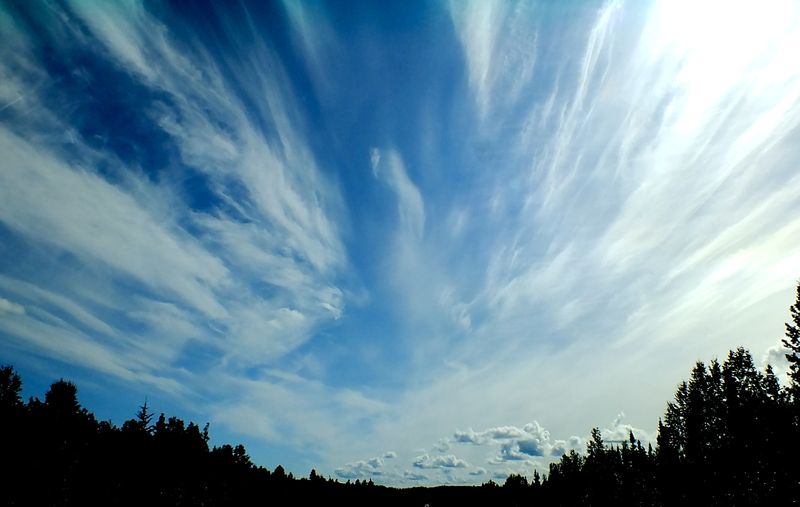 It was filed under Photos and was tagged with Alaska, blue, Chena, clouds, Dome, Fairbanks, sky, Trail. It was the most beautiful blue sky I have seen and you photo captures it perfectly. Alaskan Blue should be a new Crayola color. I would buy that.